By the time of aging, many people’s skin loses its elasticity, muscles begin to slack and fat and tissue begin to appear. The neck is one of the first areas to show signs of aging. Neck lift surgery is a revolutionary face and neck surgery that aims at removing rolls of fat, loose skin and deep creases. 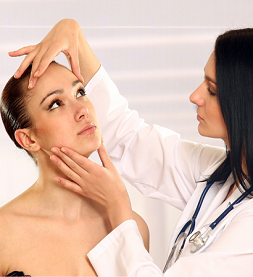 Plastic surgeons at ESTEVIP make two small incisions behind the ear and another under the chin. Liposuction may be administered during the procedure of neck lift to remove excess fat and loose skin.